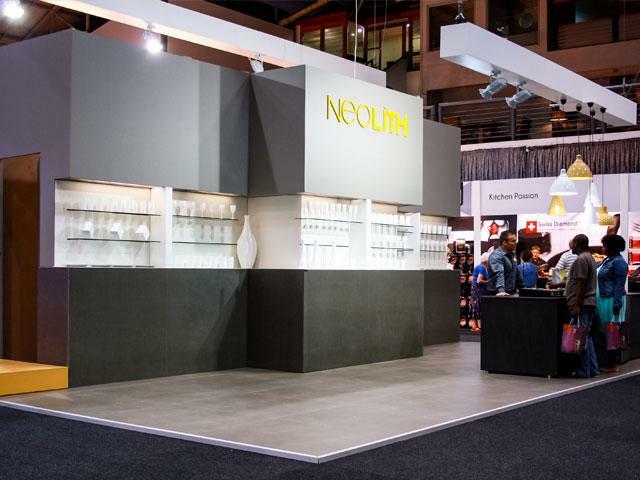 The brand new, architecture-inspired 2014 NEOLITH stand was constructed for the first time on the floors of the Durban Exhibition Centre. 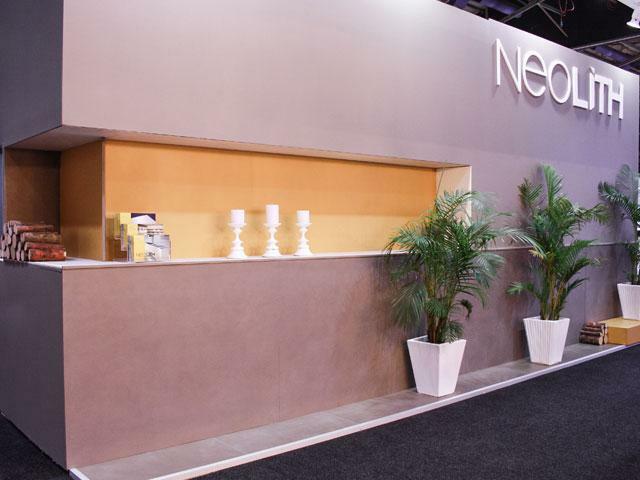 From concept to creation, the stand was designed as an undefined space in order to showcase the multi-faceted applications of the sintered porcelain slab. 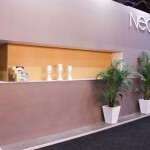 With a simple and sleek design, NEOLITH attracted exceptional interest from both the public and organisers alike. 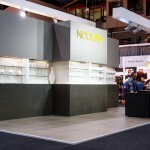 The stand drew on a combination of product possibilities, using various applications to showcase its versatility. 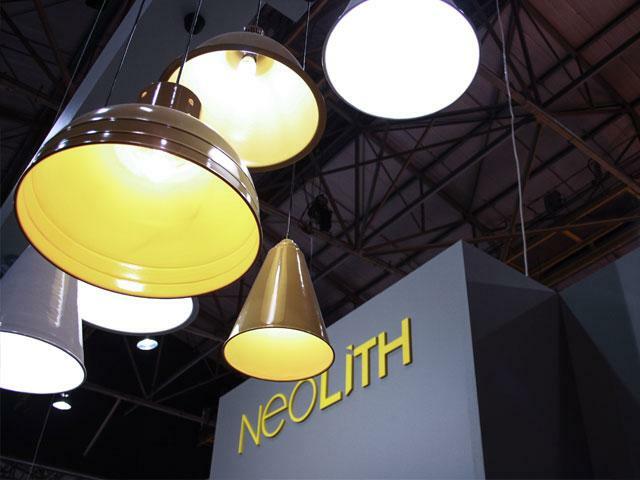 Monotone shades of grey with a pop of NEOLITH yellow made a powerful impact on passersby, who were charmed by the minimalist approach and trendy colour palette. 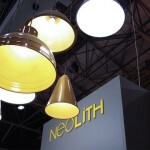 Visit the NEOLITH stand at Decorex Cape Town (25 – 28 April at the CTICC) and Decorex Johannesburg (6 – 10 August at Gallagher Estate).